In a world where it is increasingly challenging to get students interested in classroom lessons, Environmental Education offers an enriching way for both students and teachers to connect their appreciation of the natural world to academics. 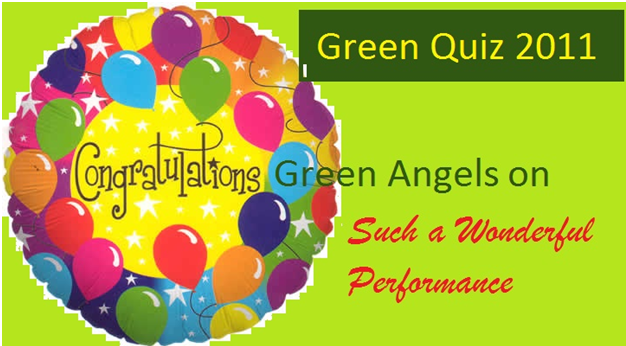 Green Quiz 2011 was arranged as an effective way of imparting Environmental Education to thousands of Green Angels and their families in Pakistan through the schools across Pakistan. During this activity we also helped 16 schools restructure their curriculum so that they can meet global standards while organizing activities and multidisciplinary teaching units around environmental themes. Why environmental themes? Because children have a natural interest in the environment around them. Participating students are motivated students, and motivation is a key ingredient for academic achievement. Here you can meet the national winners.